We caught up with the one and only Lee Nelson and chatted Kanye, X-Factor, Greggs, Brighton beach and why the shell suit is now in the charity shop. 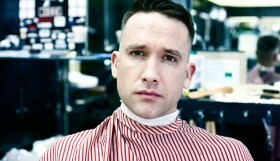 Comedian Simon Brodkin has had a busy year making countless national headlines. From humiliating Sepp Blatter to out shining Kanye West, Brodkin is known for pushing the boundaries and blurring the lines between his fictional characters and the real world. 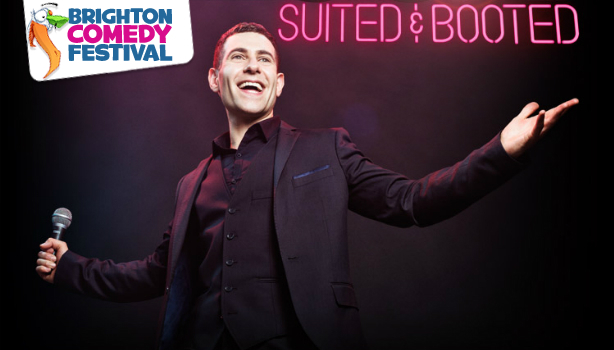 Following the spring leg of his 68-date nationwide tour, his most famous creation, Lee Nelson, plays Brighton’s Dome on the 22nd October with his brand new live show, Suited & Booted, as part of it’s three times extended run. “Brighton’s close to me – close to my heart, close geographically,” begins Lee. “Always used to come down here, do some racing in my Corsa back in the day on the beach front. It’s a good little vibe innit. It’s a nice place, it reminds you of why we should be so grateful for cheap air flights to Spain. Lee’s most notorious appearance was at this summer’s Glastonbury where he somehow managed to jump on stage during Kanye West’s headline set. 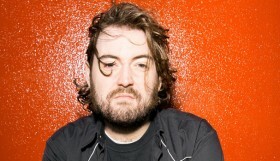 The rapper was not best amused and Lee made headlines throughout the country.